The Lastolite Quad Bracket for Ezybox is a great way to gather up all of your on-camera flash units to make one light source. 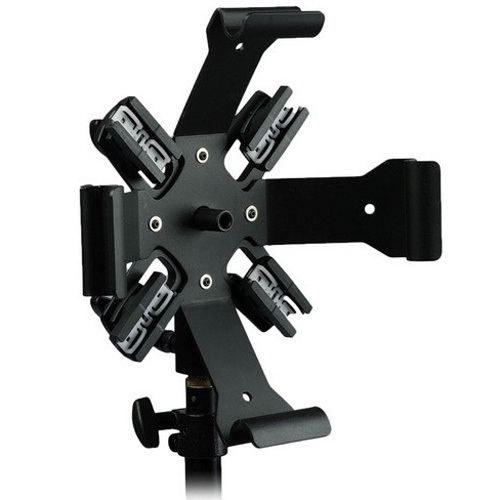 Simply attach one flash to each of the 4 arms and mount any one of the five Lastolite Ezyboxes to the bracket and you've got a lightweight main light for the field or studio. Add your choice of optional wireless triggering device for a professional setup. The bracket mounts to any 5/8" (16 mm) top stud.